Wheat Flour (Wheat Flour, Calcium Carbonate, Iron, Niacin, Thiamin), Water, Mixed Seeds (9%) (Millet, Sunflower Seeds, Brown Linseeds, Golden Linseeds, Pumpkin Seeds, Quinoa), Rapeseed Oil, Yeast, Spirit Vinegar, Fermented Wheat Flour, Malted Wheat Flakes, Raising Agents (Disodium Diphosphate, Sodium Bicarbonate, Calcium Phosphate), Salt, Emulsifier (Mono- and Di-Acetyltartaric Esters of Mono- and Di-Glycerides of Fatty Acids), Dried Skimmed Milk, Flour Treatment Agent (Ascorbic Acid). 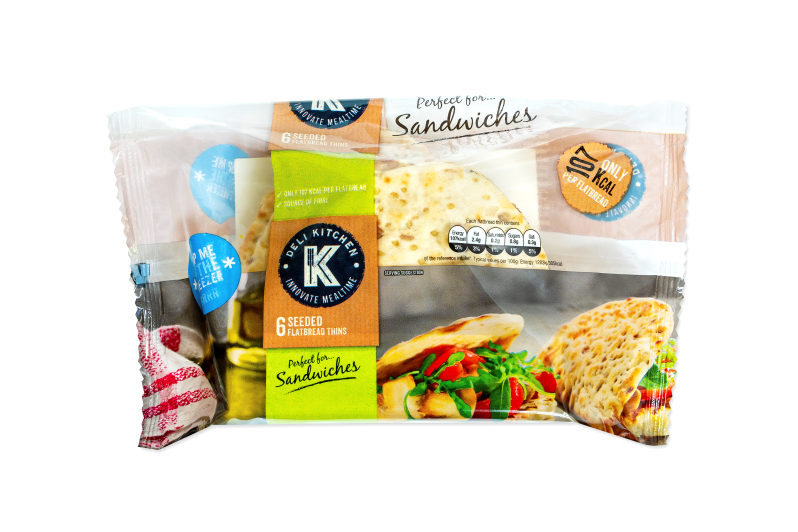 Deli Kitchen Folded Seeded Flatbread Thins are tasty, healthy and easy to use flatbreads that offer a lighter alternative to sliced white bread. 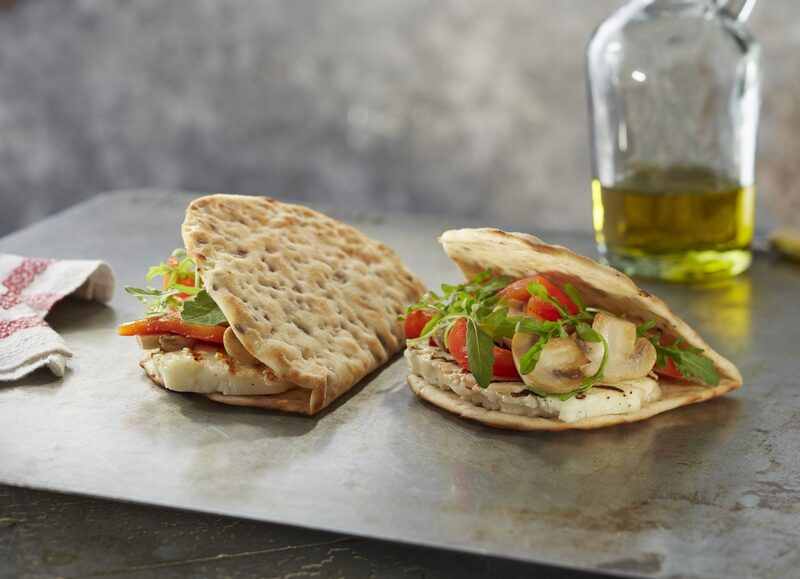 The flatbreads are a high source of fibre and contain only 107 calories per flatbread.